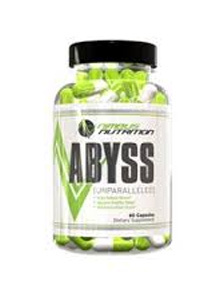 Abyss (Unparalleled) is marketed as a sleeping aid supplement. The product’s benefits are three-fold, promising us to help reduce stress, support healthy sleep, and reduce cortisol levels. To our surprise, however, the product’s formula contains a variety of nootropics that are not only well known to be effective but are commonly used in esteemed brain-enhancing products. Curious to see what effects this product might bring, we investigated what other customers have stated online and even did our own little experiment. “Hey my man, I am sorry to hear about this. I am the other half of Nimbus Nutrition and developed Abyss Unparalleled. It is very shocking to me to hear these results. I have only seen/heard of this once before in a consumer. Other than that it has been very well tolerated and had amazing results. The 5-HTP causes increases in serotonin and it is possible that you are reacting to that. Additionally, some people may have weird reactions to Gaba from time to time. The rest of the product should not produce these effects in any way shape or form. It is rare in general for this to occur. With just these two occurances we are already discussing a reformulation to mitigate these effects and keep the product as positive as possible. We did a good amount of testing in individuals prior to producing it and none of the clinical studies produced any results like this either. How bout you tell me about your dosing schedule. Any psychological, anxiety, stress, physical conditions/illnesses? or any information that could be of relevance? It’s very pleasant for us, and of course for you, to see a company that is open to improvements and cares for each customer’s demands. So far, we have high hopes for this product! Although this product is not widely discussed on the Internet, it is available for sale on various online platforms such as Amazon.com, BodyBuilding.com, PredatorNutrition.com, etc. One member of our team stepped up and bravely volunteered to try Abyss (Unparalleled) for a period of two weeks. Our tester has been having sleeping problems for 3 months and has not been able to find a supplement that truly helps him fight the issue. During the first week, he admitted that he did not see any major changes. Instead of waking up 4-5 times during a night’s sleep, he would only be disrupted 3-4 times (which is not a huge improvement). By the second week, however, he claimed to have woken up feeling more energized and less tired. He was able to pursue the day with enthusiasm and motivation, which he previously had a lack of. So although it did not help him sleep better, it helped him feel better in the morning, which for him was a great result. “Got a 5 day sample pack from the great guys at Nimbus to give this product a try. I dosed it at 4 caps a night and loved the results. Each bottle of Abyss (Unparalleled) contains 30 capsules and costs $44.19. Although this price might seem reasonable at first, we realized that the recommended dose is set at 2 capsules per day. This means that in order to have a month’s supply, you would need to spend approximately $90. In the world of nootropics, this price would lie on the more expensive end of the spectrum. With the many benefits that this product may provide you with, however, buying a bottle of Abyss may result in nights with better sleep and days with a clearer mind. On the other hand, if you’re a student who’s looking for a brain supplement that’s more affordable, then you may want to consider one of our editor’s top 3 picks, such as Lumonol or Braino. It is obvious that people who suffer from sleeping disorders or have trouble maintaining a good rest want an effective sleeping supplement to be able to doze off with ease. But one important question that people often forget when purchasing a sleeping supplement is “Why do I want or need better sleep?”. This question is essential because the answer emphasizes the importance of sleep itself. It’s not the act of sleeping that we necessarily need, but rather the benefits that it carries. Having a good night’s sleep is important because it allows us to feel well rested and energized in the morning, allowing for a productive day ahead. When we are tired and fatigue, we become unmotivated, inactive and perhaps even depressed in certain cases. For this reason, we understand why Abyss (Unparalleled) has chosen to include potent nootropics in their blend. If a person can have a good night’s sleep and be provided with essential nutrients for enhanced brain functioning, then they can wake up feeling refreshed and ready to attack the day’s necessary tasks. For that reason, we would definitely recommend this product.